This after-school ski program helps kids improve and learn race skills to prepare them for success with the middle school team. Open to intermediate skiers in 3rd-5th grade. Participants must be comfortable skating and striding blue trails. An introduction to the winter Olympic sport of biathlon, this is a combination of skiing and rifle marksmanship. Children in 2nd-8th grade will be coached to improve skiing skills and will also learn marksmanship and gun safety using specially designed laser biathlon rifles. Participants must have basic ski-handling skills. A popular after-school skiing program for grades kindergarten through 5th grade. 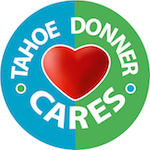 Kids will have a blast learning cross country skiing skills through games and activities as they explore the trails at Tahoe Donner Cross Country Ski Center. All Programs have a 7 day cancellation policy.